Tomball German CHRISTMAS Market & Festival! We will be at GYPSY MARKET @ the Klein Multipurpose Center today and tomorrow! Come do some fabulous SHOPPING & EAT with EVERY-BELLIES! We will be open tonight from 5-7 and tomorrow 11-7. Come get LOADED with us! 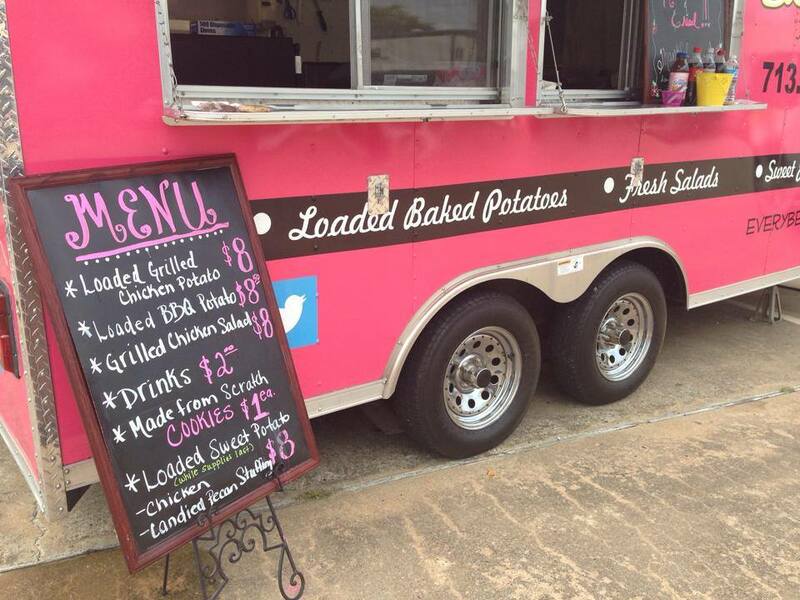 Cooler weather calls for mouth-watering LOADED TATERS & FREE COOKIES! The Dream started with a Pin & A Board. Thank you Pinterest. The Dream started with a Pin & A Board. Thank you Pinterest.. PINK. Mobile. HOT. Fresh. FUN. Bless. SERVE. Every-Bellies! Keep it Simple, Be the Best & Be a Blessing with EVERY-BELLIES! With endless Restaurant Choices at your disposal, we consider it a BLESSING to earn your Business! EVERY-BELLIESsimple Menu allows us to provide, Fresh, Delicious Food & Friendly, FUN SERVicE! What makes OUR TATERS special? It starts with our secret to the Potato Skin and is Custom Built by YOU! Top it off with our Customer Favorite: Blackened Grilled Chicken or Smoked BBQ Brisket! Not in the mood for a Potato? Try our Loaded Salad, topped with Grilled Chicken, and made from Scratch Dressings! And who doesn’t LOVE a Sweet Ending? We offer the sweetest of them all! The BEST Homemade Cookies in Town! Be as Healthy as you like! Or not?! We promise it will Satisfy EVERY-BELLY! Loaded Baked TATERS, Fresh Salad & Sweet Endings! Check Out What’s Going On!